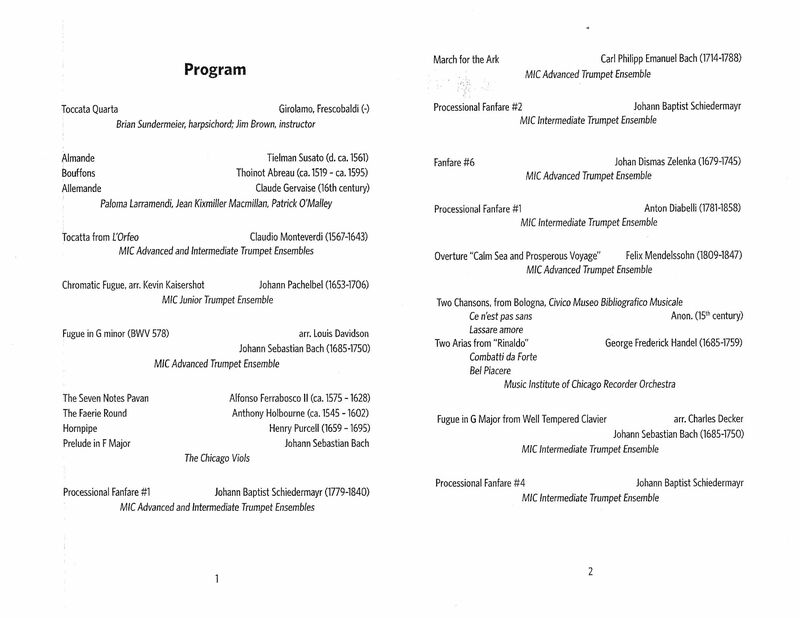 Congratulations to MIC Trumpeters Angelina Escobar, Charlie Lindland, Adam Marquardt, Charlie Clarke, Jerry Sun, Alex and Jefferson Wenzel, Sasha Boutilier, John Kinne, Sawyer Lindland, and Michael Werner on a wonderful performance at the MIC Early Music Recital on Wednesday May 8th at Nichols Concert Hall. 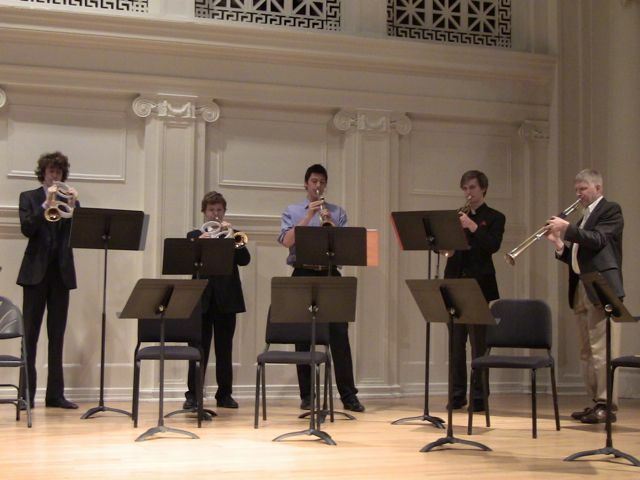 I received numerous compliments about the quality of the trumpet playing, and it was great for all of us to have the opportunity to hear the “Chicago Viols” and MIC Recorder Ensemble. Thanks to Patrick O’Malley for organizing the event and to all the MIC parents for their time and energy to make these performances possible. 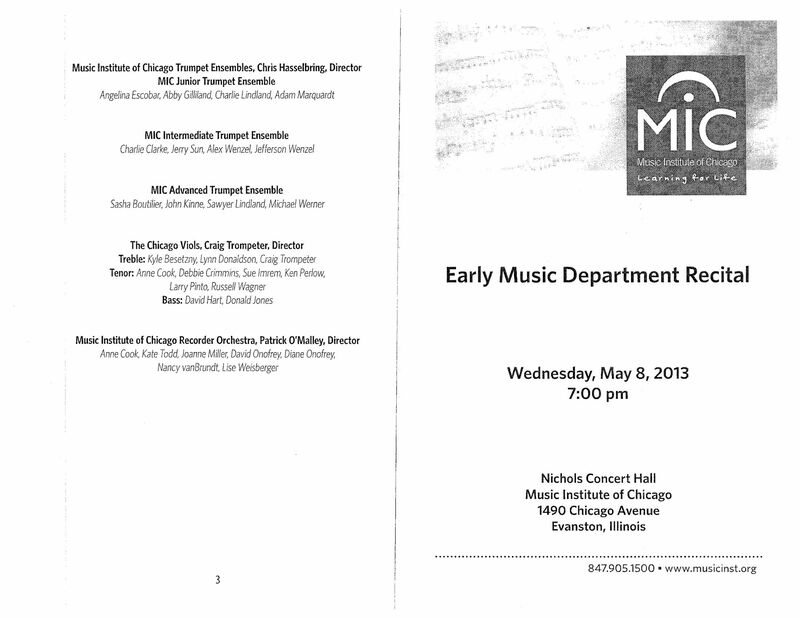 We are very fortunate to have such high level early music instruction at the Music Institute of Chicago. 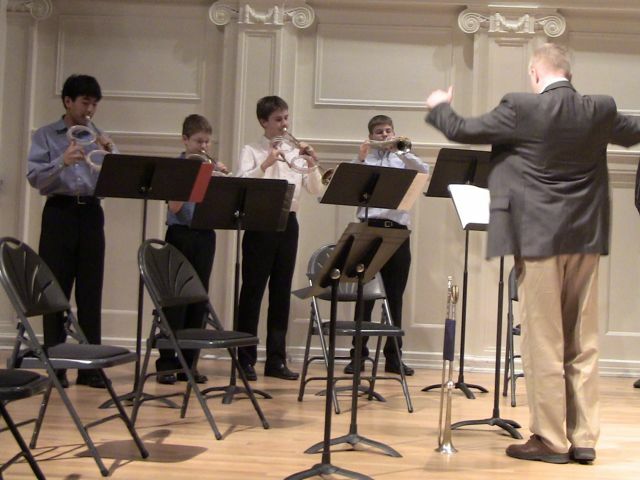 Please enjoy a snippet of the Advanced Trumpet Ensemble performing the “Little Fugue” by J.S. Bach: To see other fantastic early music performances using the natural trumpet, please visit the “Baroque Trumpet Videos” page. 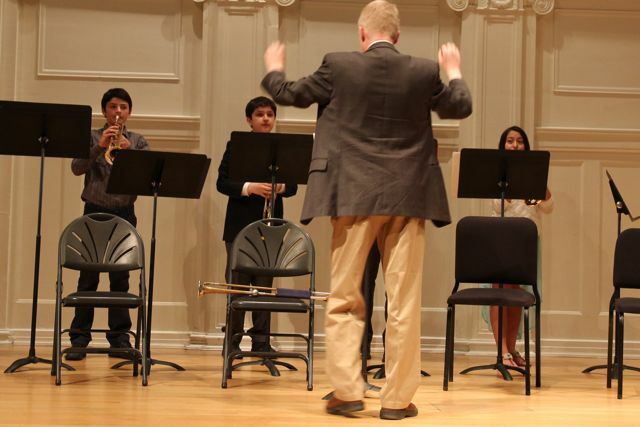 This entry was posted in MIC Student Performances on May 10, 2013 by brassforbeginners.